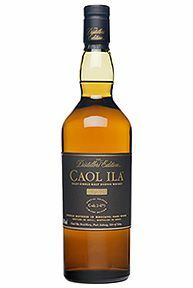 Caol Ila (Gaelic for 'the Sound of Islay') was built in 1846 by Hector Henderson, a Glasgow businessman with a keen interest in distilling. 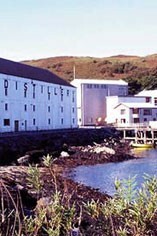 The distillery is hidden in a quiet cove near Port Askaig, overlooking the Sound of Islay. 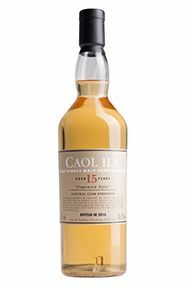 The water source for Caol Ila is the peaty Loch Nam Ban about a mile away from which the water flows through fields, arriving at a waterfall near the distillery. The six stills are large and lentern shaped. 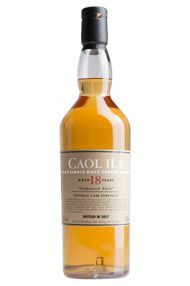 Caol Ila was built in 1846, reconstructed in 1879 and rather brusquely modernised in the 1970s. 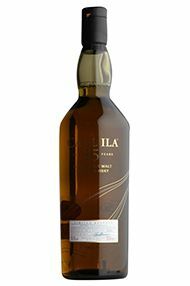 The Clynelish distillery in Brora is an exact replica of Caol Ila. Most of the production is used in blends (90%) such as Bell's, White Horse, Johnnie Walker and Black Bottle. The distillery is the greatest of Islay, and produces over 3.000.000 litres a year. Juniper. Garden mint. Burnt grass, but soft. Lightly oily. Soothing at first. Lots of flavour development. Spicy (nutmeg, pepper). Warming. Very long. Of the three expressions in this tasting, this is the most rounded and balanced. 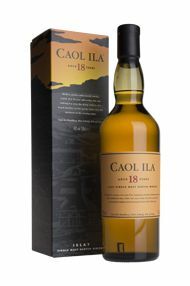 All the classic Caol Ila aromas and flavours are there, with no sharp edges. Vatted for drinkability? Oily yet fruity. Linseed oil, green olive, smoked fish. Lightly medicinal, wet grass, linseed oil, smoky wood (balsa wood?). With water good biscuity malt and smoky bacon notes. Rounded, mid-weight. Good smoky intensity mid-palate. Clean juicy fruits, oil and dry smoke. Great balance and the best of the three. Rich yet drying, smoky bonfire with baking spices. 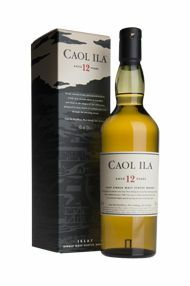 This classic Islay displays the Island character splendidly. It has a lightish weight but plenty of salty, smoky flavour and an oily body making it a great "anytime" malt. Much of the distillery's output goes into Johnnie Walker blends.